Want it Tomorrow Monday 29th Apr? Add that wow factor to any indoor or outdoor space with these stunning colour changing mood lights. 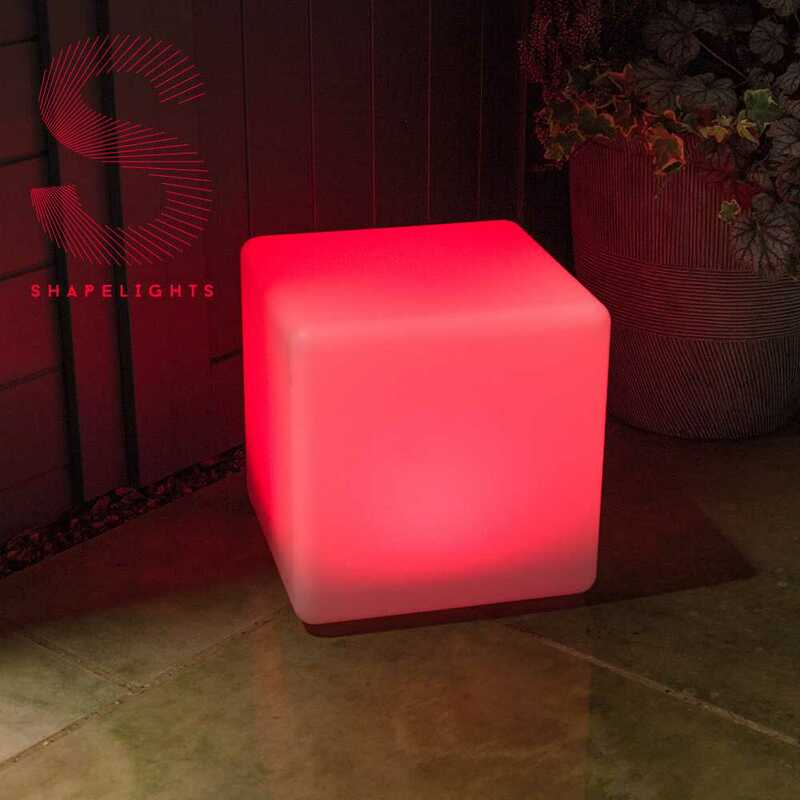 Shapelights can be used as portable USB chargeable battery powered lights, solar powered lights or mains powered lights giving you complete freedom of positioning anywhere in your home or garden. Select your favourite colour or let your Shapelight gently cycle through different colours. Shapelights can be mains powered, USB charged or solar powered. Got this as a nite light for my 4 year old and she LOVES it! You can plug it into the wall but I dont like having stuff plugged in in her room so i charge it up by USB downstairs and then take it up. I started off using it in indoor mode but i think it is better using outdoor mode inside because it stays off during the day and comes on when i turn her room light off at night so i never have to touch it. The other thing is it turns off automatically after 7 hours in outdoor mode so i will only need to charge it up for her once a week. The colours look lovely and the changes are really smooth. Its is much bigger than i thought it would be and it is very very strong so she uses it a seat and play table. I will definitely use it outside when we have parties and BBQs over the summer. I chose free delivery so didnt expect it come quickly but it arrived next day by DPD so very happy solar centre service. Shapelights bring atmosphere to any indoor or outdoor space. They can be set to gently cycle through red, green, blue, green, purple, pink and light blue or you can set them to stay on your favourite colour. Shapelights also offer a brighter white and warm white setting which are noticeably brighter than the colours. 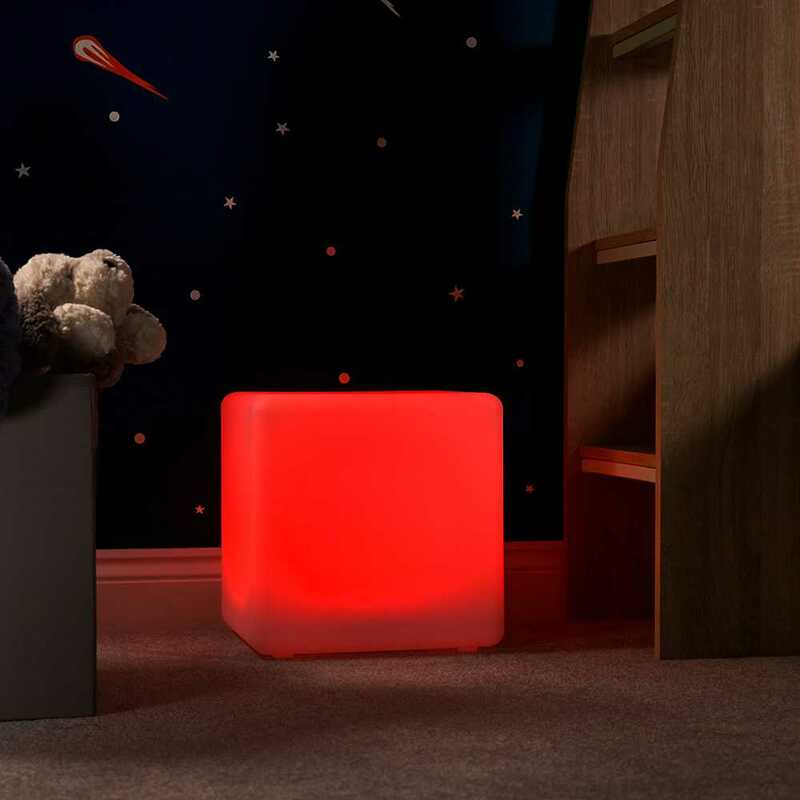 Shapelights can be used inside as mood lights for living spaces or night lights for landings or children’s bedrooms. 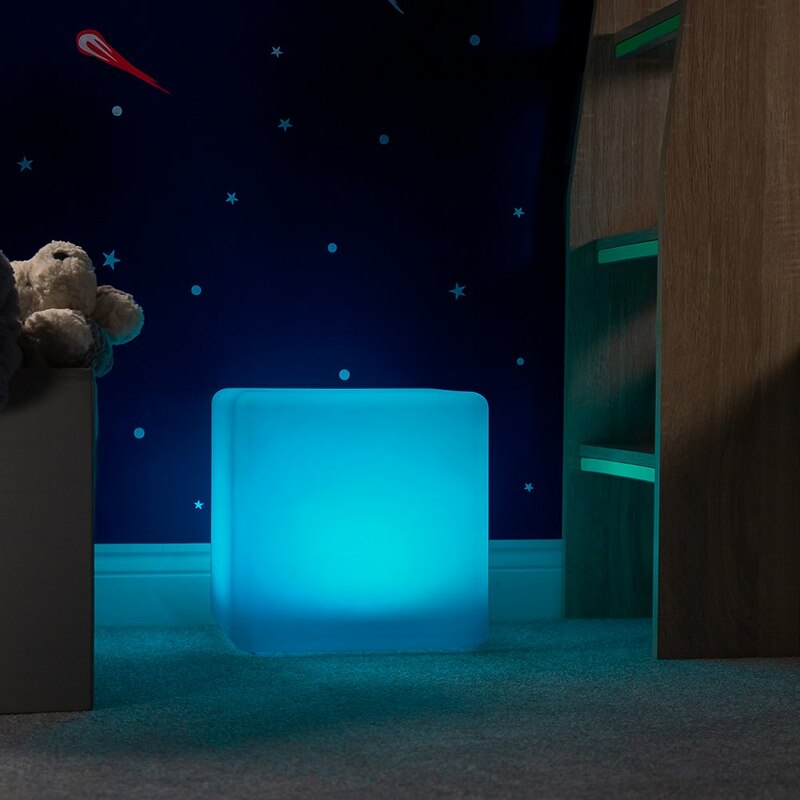 You can plug your Shapelight directly into a plug socket or charge it by USB and use it as a portable indoor light if there is no plug socket nearby. A full USB charge takes just a few hours and will provide 50 hours of illumination. 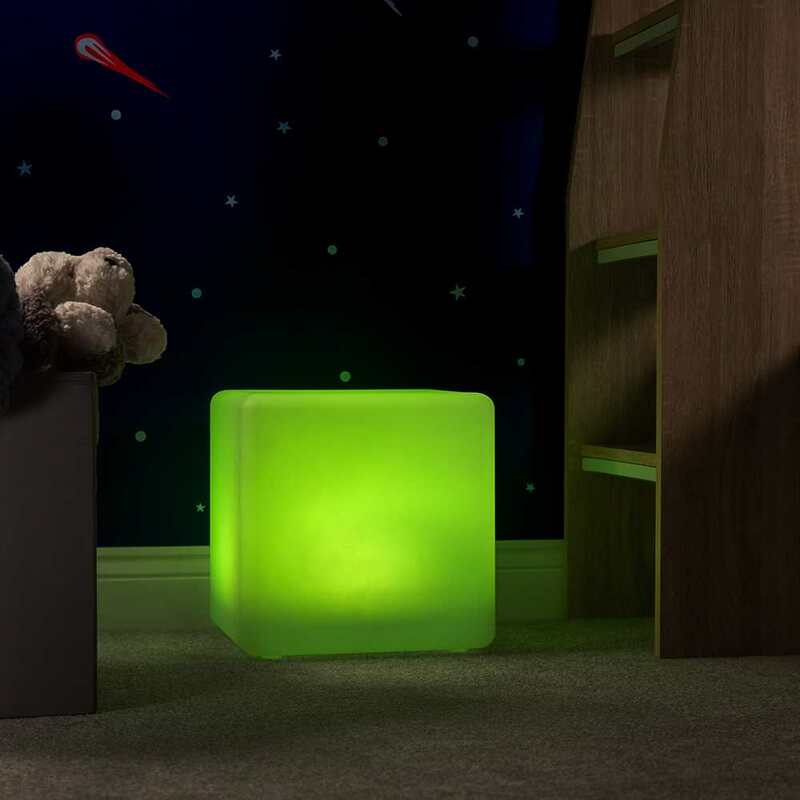 In Indoor Mode your Shapelight will operate much like a normal mains powered light. It will turn on when you switch it on and turn off when you switch it off. Unlike Outdoor Mode, Shapelights will work in lit conditions in Indoor Mode and there is no timer to turn them off automatically after 7 hours. 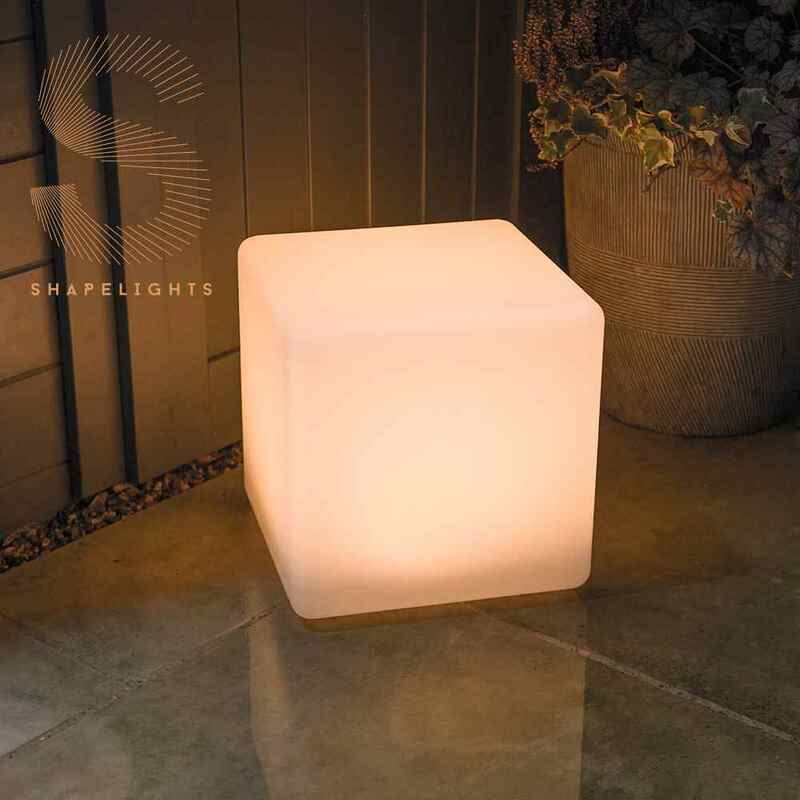 Shapelights are perfect for adding atmosphere to outdoor spaces. The base inside Shapelights contains a hidden solar panel which charges up from the sun through the shape shell. Shapelights are also USB chargeable which is perfect if you don't have a good solar charging location, or as a backup during dull weather spells. 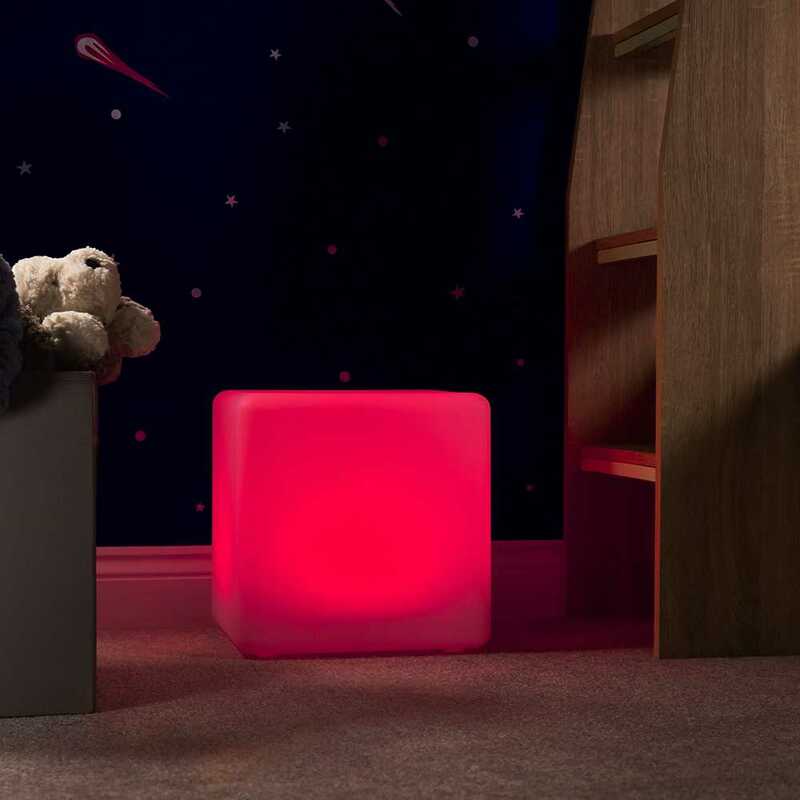 A full USB charge takes just a few hours and will provide 7 nights of illumination without any help form the sun. In Outdoor Mode your Shapelight will turn on automatically after dark and turn off 7 hours later which conserves charge for subsequent evenings. 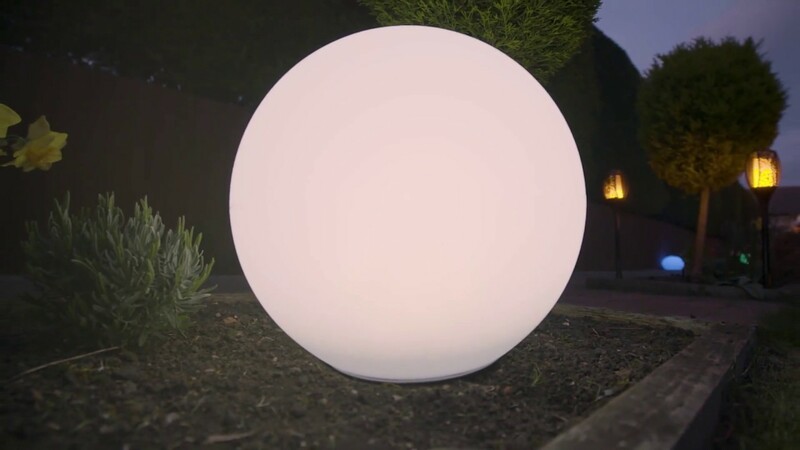 Shapelights have been designed to work year round in the UK using solar power alone, but they can also be fully charged using the supplied USB lead in just a few hours. USB charging is not necessary if variable illumination times in winter are acceptable, but USB charging every couple of weeks will keep your Shapelight working for the full 7 hours every night whatever the weather. Shapelights will work for 7 nights from a full USB charge without any help from the sun so a reasonably well-positioned Shapelight will only need USB charging every 10-14 days in winter and only occasional USB charging during spring and autumn. USB charging should not be necessary at all during summer. Shapelights have a waterproofing rating of IP67 so they can be used outside year-round where they will withstand everything the British weather can throw at them. The IP67 rating means you can use Shapelights in any room in your house including bathrooms. Shapelights come in 4 shapes. Shapelights use a single high powered 18650 rechargeable Lithium Ion battery (included and installed) which have become the battery of choice for high-end electronics manufacturers in recent years. These high powered state-of-the-art batteries will offer several years of hassle free use and can be replaced quickly and easily at any point in the future. Shapelights are made from an extremely tough PE plastic and are strong enough to be used as illuminated furniture pieces. 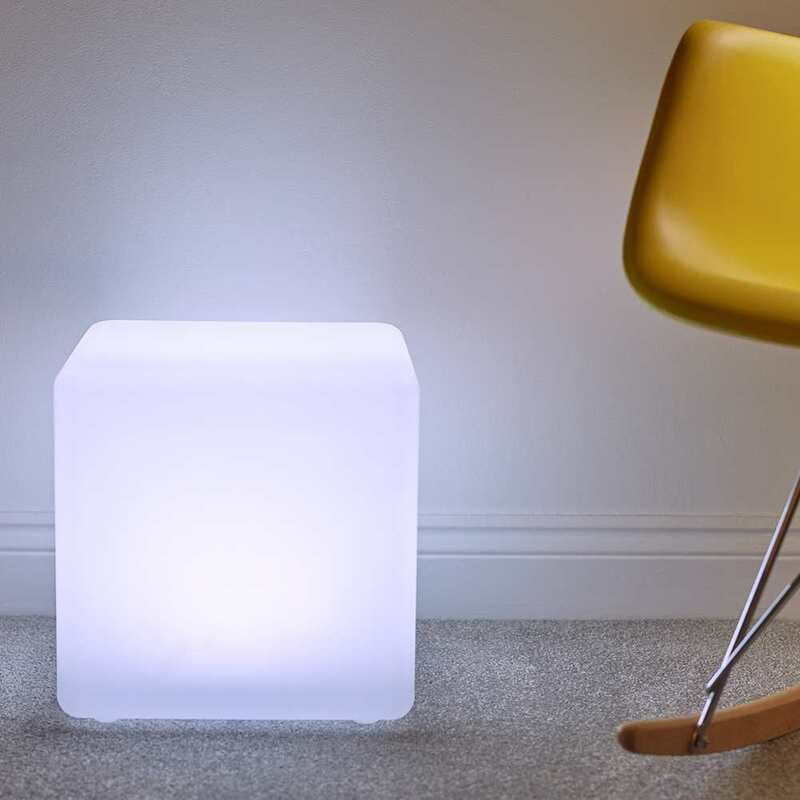 The Shapelight Cube and Cylinder can both easily double up as a small table or seat for children or light adults. What do you do if you want the light to work for longer than 7 hours outdoors? Thanks for your question Michelle. You can reset the timer by turning the light back on at the switch which will keep it working for another 7 hours or until dawn (whichever comes first). how long does it take to fully charge by USB? It takes 3-5 hours, this is dependant on your USB charging device.